Hello all, toady our topic is on spreading disease Dengue. Few years back, this disease was not so fluent and a topic to get worried about. But today, many of the health officers, doctors even the common man put there hands on head when they hear or read the current status of Dengue. It has turned very violent as the synonym of fatality. All the hospitals receives a huge number of Dengue patient this season. On our present topic we will be mostly dealing about the current status of Dengue in India, increasing vectors and Preventive measures itself. On our previous topic based on Dengue, which was Dengue epidemic; we had already discussed all the basic symptom,s causes, pathogens and other information of Dengue. Now, we shall be proceeding with its preventive measures. Why only Preventive Measures; not the treatment? Now, one question will be arising in your minds; why we are so conscious about its prevention rather than treatment? As a fact, “More they breed, so you bleed”. It means, Aedes mosquitoes which are the vector host of Dengue breeds very loudly. With the most recorded cases of dengue, India is on its way to become the dengue capital of the world. Aedes mosquitoes breed in stagnant water, the vector responsible for spreading the illness. This mosquito is mostly active in the morning. Huge survey on Dengue awareness and many more. All these represents the vast growing of Dengue ailment. In over-crowded cities like, New Delhi, Mumbai, Bangalore, Chennai etc this disease is spreading in a turbo speed. In many places, only in 7 days 41 new dengue cases are found. Despite being aware and full protection, Dengue is spreading heavily. As compared from back years, this year the diseases is getting very devastating; depleting many lives. Dengue is the disease of rainy season, then why it’s approaching in winters too? This is one of the most casual question which everyone talks about. As a fact, the mosquitoes breed when there is wet and damp surroundings i.e., Rainy season. Presently, it is the beginning of October and still the disease is spreading. What can be the reason behind this? Actually, due to the increase in Global warming all the seasons are getting shifted 1-2 months apart. You can see itself, 10 years back, this time it was shivering temperature and everyone used woolens. But today, it is still like summer or mid-winters. This is also a big factor for the raising of mosquitoes. They are receiving ample temperature to breed heavily. What is Vaccine; it is something which once enter your body provides resistance against the specific disease. Those vaccines are made from the virus or pathogen of the vector itself. Talking about Dengue, then currently there are no vaccine available for this terrifying disease. The development of a dengue vaccine is an utmost and high priority but such a breakthrough still seems years away. 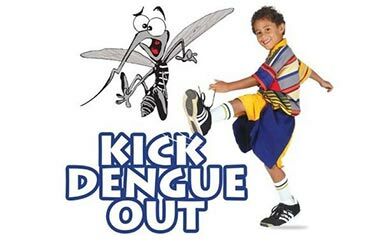 Now, we will be talking about the preventive measures to control dengue. As we can see, day by day the number of dengue patients are increasing. Those who are affected visits to doctors. Still, we can save many lives just by the complete awareness and guidance. Following ate some of the tips and measures, which can be highly beneficial to uproot the dengue from the nation. Keep your surroundings clean, sprinkle disinfectants and acids over the tough stains as they can be a home for dengue mosquitoes. Use mosquito net at night; it is affordable by everyone and provides a resistance from mosquitoes. One should know that Dengue spreads from Aedes mosquito; this mosquito has a peculiar property that it attacks mostly in morning sessions. Daily evening after sunset, burn dried neem leaves and allow the smoke to enter your home. It is eco-friendly, keeps mosquitoes ad flies away and also purifies the air. If possible, plant marigold around your kitchen gardens and at your homes. This is the natural way to keep away mosquitoes. When you go into mosquito-infested areas, wear a long-sleeved shirt, long pants, socks and shoes. Remember, Say no to dengue and kill the hosts. Kill them otherwise they will kill you! 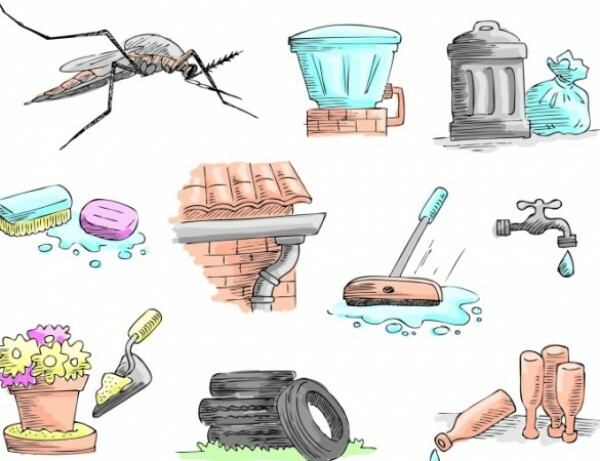 The mosquitoes that carry the dengue virus typically leave in and around houses, breeding in standing water that can collect in such things as used automobile tires. Reduce the breeding habitat to lower mosquito populations. Use mosquito repellents. Permethrin can be applied to your clothing, shoes, camping gear and bed netting. You can also buy clothing made with permethrin already in it. In the ditches and gutter areas, sprinkle kerosene oil. It kills the eggs and mosquitoes thus keeps away the disease. Use insecticides to kill away the mosquitoes and other vectors. No, these were the preventive tips for Dengue. What about them who has developed the symptoms and getting feared! In case of Dengue, most complications occur within two days of fever subsiding. As any of the symptom is catched, get admitted. Change your diet to normal and drink warm water. Also include plenty of natural fluids like juices, soups etc in your diet. We have already discussed Common things about Dengue; in our previous post of Dengue. It has symptoms, causes, mode of transmission, treatment, diagnosis and other informations about the ailments. Guys, mostly dengue doesn’t kills; its fear kills the most.Even you are diagnosed with such then don’t panic; believe on the treatment and follow-up the healthy routines. Why to fear with those small insects, when nature has gifted us a brilliant mind and intellect! Stay prevented and stay well!